Have you been experiencing jaw pain? Maybe you have frequent headaches? If so, you may be suffering from a disorder of the temporomandibular joint, often referred to as TMJ disorders. Disorders of the temporomandibular joint can cause extreme pain, discomfort, and can even decrease your quality of life. Thankfully, you do not have to live with the pain or discomfort. You can receive treatment for the disorder with your dentist in Scripps Ranch, CA. Dr. Greg Friedman is specially trained to provide effective treatment for the condition to allow you to regain your quality of life. The temporomandibular joint is the joint on either side of the face that connects the lower jaw to the skull. When this joint functions incorrectly, it causes a wide degree of complications and symptoms. There are various reasons why the joint may not function correctly, such as due to grinding and clenching of the teeth, movement of the soft cushion or disc within the joint, or due to injury. In some cases, arthritis and stress can lead to the disorder. No matter the cause of the condition, there are a variety of symptoms that can develop. The most commonly reported symptoms of the condition include pain and tenderness of the jaw, face, neck, and shoulders. Often, the pain intensifies when the joint is moved, such as during chewing, speaking, or yawning. Many people experience a clicking or popping when moving the jaw, while others report a grating sound. It is not uncommon to have the joint become stuck in an opened or closed position. Complications can become more challenging as the bite can become uncomfortable as it is more difficult to align the upper and lower teeth. In some cases, the symptoms can extend to other areas of the body as well. You might experience toothaches, dizziness, earaches, or ringing in the ears. New advancements in the treatment of the condition offer a variety of options to relieve the pain and discomfort. 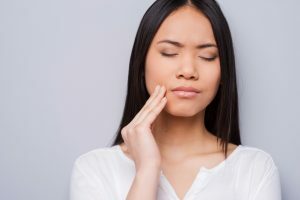 As a dentist for TMJ therapy in Scripps Ranch, CA, Dr. Friedman will evaluate your joint and bite to provide an effective course of treatment. To treat TMJ, it is often recommended the alignment of the jaw is corrected. Using neuromuscular dentistry, Dr. Friedman will create a customized plan with an understanding of how all systems of the jaw work together. To rebalance the systems to ensure they all work as intended, orthodontic treatments may be recommended. Your jaw will be realigned while you may also benefit from a more attractive smile. With a customized treatment plan, most patients report a significant decrease in symptoms in just three months. If you are living with the pain and discomfort of TMJ, it is time to stop the pain. Regain your quality of life with TMJ therapy from a specially trained dentist to treat the disorder. Dr. Friedman offers the comprehensive plan of action you need to increase the function of your jaw. Contact Dr. Friedman’s office today to schedule a consultation.